Grit Clinics together with sister company Ladies AllRide have spent years traversing the country teaching mountain bike skills clinics in an effort to share our passion for bikes with as many people as possible. From this passion has grown a team of dedicated coaches who have joined us in our efforts to create fun and inspiring skills clinics as part of a movement to share the joys of mountain biking with more people. Our team of professional coaches live all over the country and we are constantly expanding our reach. Grit Clinics provides private lessons and group clinics for men, women and children led by top coaches around the country, including Bend, Oregon. We create customized coaching packages that cater to individual needs. We get down to the nitty gritty of what you want to work on and we help improve your overall riding experience. We coach all levels and ages of riders form total beginners to pro level racing and jumping workshops. Take your riding up a notch and learn to #ridewithstyle! Ultimate progression happens at lift access mountains! Let our skilled coaches introduce you and your friends to the Mt. 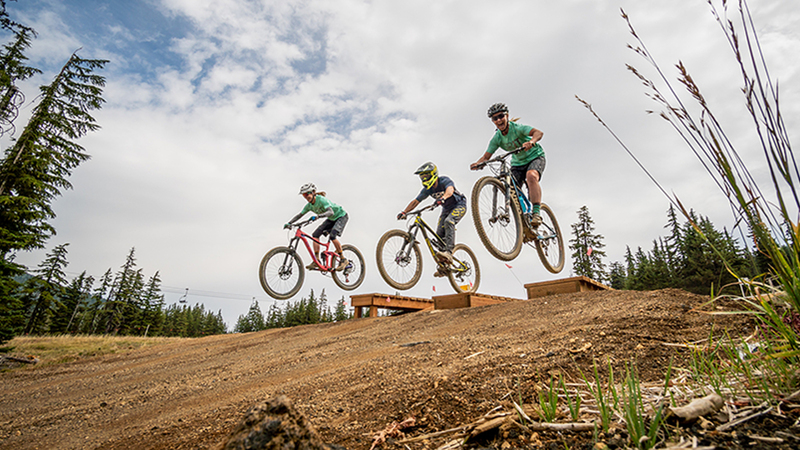 Bachelor bike park in a safe environment or help you dial in your skills to take it to the next level.